The Rhode Island International Film Festival (RIIFF) is pleased to announce its third annual New England Student Film Festival (NESFF). The New England Student Film Festival is a competition-based event geared strictly towards the filmmaking work of students in Communications and Film Studies in New England Colleges and Universities. It will be launched this year as part of the annual RIIFF, August 7th -12th, with plans in place for expansion into year-round programming, with screenings, classes and forums. 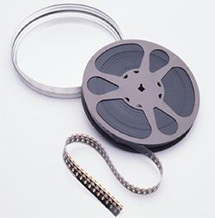 A special screening of adjudicated work included in the NE Student Film Festival will take place at the Columbus Theatre Arts Center in Providence, RI on Saturday, August 11, 2007. Showtime is at 10:00 a.m. Both the upstairs and downstairs theatres will be used at the Columbus. Tickets are $10; students and seniors with a valid ID will be given a reduced rate. According to Michael Drywa, Esq., Board President of the Rhode Island International Film Festival, “We are very excited to continue this exceptional sidebar to our Festival. Given the number of students in the region who major in Communications and Film Studies, our goal is to provide a solid platform that honors and encourages their work, while promoting networking and professional growth. Over 100 student entries were submitted for the 2007 Festival. “Entries were received from across New England and included work from University of Maine, Emerson College, Boston University, Boston College, Providence College, Middlebury College, Rhode Island School of Design, University of Massachusetts, Brown University, and the University of Rhode Island. Cited as one of the “Best International Film Festivals in the United States,” by Chris Gore of Film Threat, the Rhode Island International Film Festival is the largest film festival in New England screening a record 321 films. The Rhode Island International Film Festival is dedicated to the creation of opportunities for artistic interaction and exchange among independent filmmakers, directors, producers, distributors, backer, and the film-going community. Rhode Island Governor Donald Carcieri, Providence Mayor David M. Cicilline, and US Senator Jack Reed serve as honorary chairs to this year’s event. 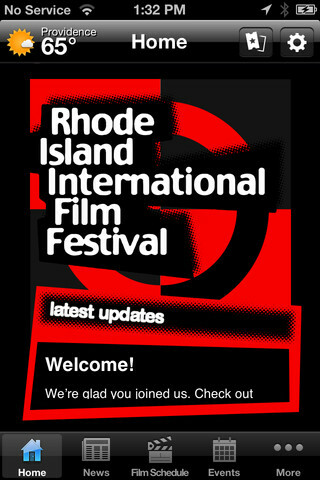 The Rhode Island International Film Festival is supported in part by the City of Providence, the Providence Tourism Council, the Providence Department of Arts, Culture & Tourism, Clear Channel Communications, Sony, Rule Broadcast Systems, WJAR TV 10, the Rhode Island State Council on the Arts, Amtrak, URI's College of Arts and Sciences, URI's Feinstein College of Continuing Education, and the URI Film Media Program Providence Place Mall, Borders and contributions from members and community supporters. Saturday, August 11th at 10:00 a.m.
A young romantic woman is set up on her first date. A girl takes off from her home to see the world. Her attempt in chasing the flying whale fails once she realizes that she cannot escape from her mother. However, her journey continues in unexpected way. An experimental film that reveals the dichotomy of the mind. 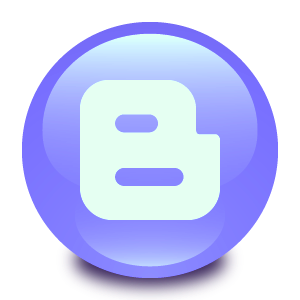 “Lasser Voir” means to show; to allow to be seen in French terms. The form of good and the form of evil interpret internal genesis from dual perspectives. A spy musical, No One Sings Forever follows the travails of a rookie CIA agent, Taryn, on her first mission. Watch as she sings and dancers her way out of even the stickiest of situations! A young girl bored and lonely dreams of another life in a distant land. Real life is an adventure again. A musical journey through the trials and tribulations of making a student film practicum project at Emerson College with original songs written, engineered, produced, directed, performed, and edited by Christopher Ultimo. Haunted by the death of a young woman, a man flees the city for the country only to soon discover his new surroundings may not provide the escape he is seeking. After Paul Davis hires a hitman to kill his wife, the news of her death sparks suspicion amongst the authorities. When the hitman returns to demand more money to cover up the hit, Paul must decide between starting his life over or giving into the hitman's demands. A black and white tale of a boy's life taking place inside a train. As he grows older the world becomes colder. In the aftermath of a worldwide epidemic, brilliant young scientist Roger Dyson must face a shocking truth about medicine. It was a Tuesday morning like any other at a quiet Colorado high school. Nobody suspected a thing. Nobody but Andrew. Advance ticket sales for screenings and special events are available through the RIIFF website (www.RIFilmFest.org). Student, group, and senior discounts are also available but only in advance. To purchase tickets or obtain more information about any aspect of RIIFF, call 401-861-4445; or write RIIFF, 268 Broadway, Providence, RI 02903; email info@film-festival.org.